Iran was parading its homemade defensive equipment to as part of celebrations to mark the beginning of the Week of Sacred Defense before Russia hands over the Bushehr nuclear power plant on Monday. United Nations will be holding its General Assembly very soon and Israel’s Defense Minister has warned that President Rouhani will be deceiving the Head of states at the meeting. The military paraded its tactical troposcatter, an advanced home-made communications system, radar and missile systems among others during the event held at the mausoleum of the Late Imam Khomeini, Founder of the Islamic Republic. Lately, the military has tested several of its new equipment. The highlight of the week will be the handing over of the Russian-built 1,000 megawatt nuclear power station at Bushehr to the state. Iran’s Atomic Energy Agency Chief Ali Akbar Salehi stated that some Russian experts will stay to “give advice and technical assistance.” Russia took over the nuclear project in 1994 after Siemens, a German company, abandoned it in the aftermath of the 1979 Islamic revolution due to their concerns about nuclear proliferation. 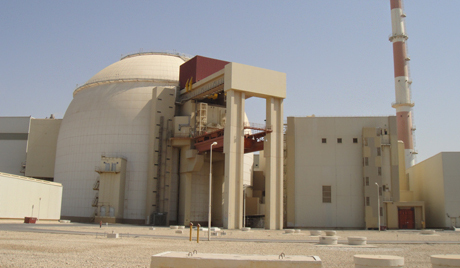 Iran has always maintained that its nuclear program is for peaceful purposes. President Rouhani stated that they don’t have any desires for nuclear weapons. However, Israel’s Defense Minister Moshe Ya’alon said that “Rouhani will lie and deceive in his speech before the UN General Assembly” when he was addressing parliament members around the world linked to a pro-Israel lobby. Written by: Peter Mulvany on September 23, 2013. Posted by Peter Mulvany on Sep 23 2013. Filed under Energy, Headlines. You can follow any responses to this entry through the RSS 2.0. Both comments and pings are currently closed.